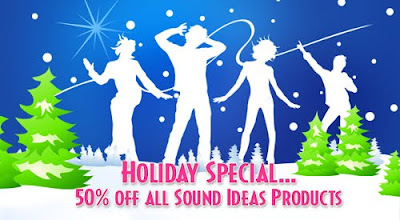 Sound Ideas Music and Sound Effects: Happy Holidays from Sound Ideas! Happy Holidays from Sound Ideas! 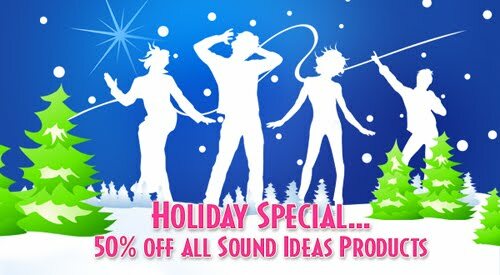 We've launched our new site and the holidays are upon us, so we' d like to celebrate with 50% off all Sound Ideas sound effects, royalty free music and production elements. Visit our new site - feel free to explore - and nab a 50% discount while you're at it! To spruce up your productions and give them a competitive edge, visit www.sound-ideas.com for professional quality sound effects.